You’re just in time, the Table Cape Tulip Farms have burst into bloom, and you have roughly a month to go and frolic in them! Located in the truly iconic North West coast of Tasmania, the Table Cape is an extinct volcanic plateau dominating the coastline near Wynyard. Dramatic 180m cliffs drop away into the Bass Strait and Table Cape Tulip Farm perches on top. This year, from Saturday the 24th of September – Friday the 21st October, 9:00am – 4:30pm daily the fields are open for visitors to come and wander through the fields of Tulips in all kinds of colours. People flock to the cape from far and wide to see this amazing spectacle. Photographers are surely lured by the prospects of not only the beautiful blooming flowers themselves but the backdrop of the Bass Strait and the lighthouse which sits neatly at the clifftops overlooking the expanse below. Of course, you can check out the impressive indoor display and perhaps purchase some floral arrangements, souvenirs, Devonshire teas and enjoy some local artwork. 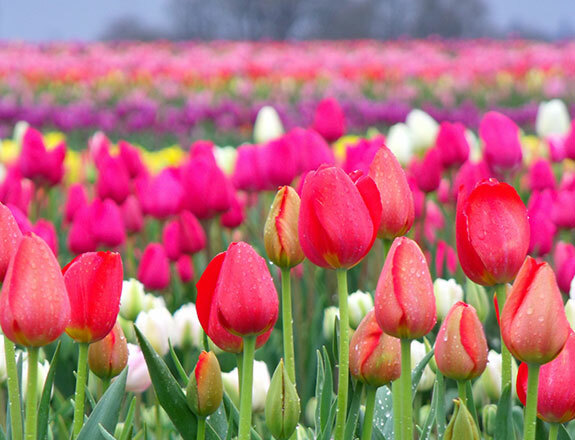 On Saturday the 8th of October 2106 the town of Wynyard is set to burst into life, much as the Tulips in the fields. Food, music, artworks and festivities fill the town with a buzz of life as tourists from across the country visit for the annual festival. For over 25 years the festival has been helping to celebrate winter relinquishing it’s hold and spring bursting forth, and it’s done so with gusto!